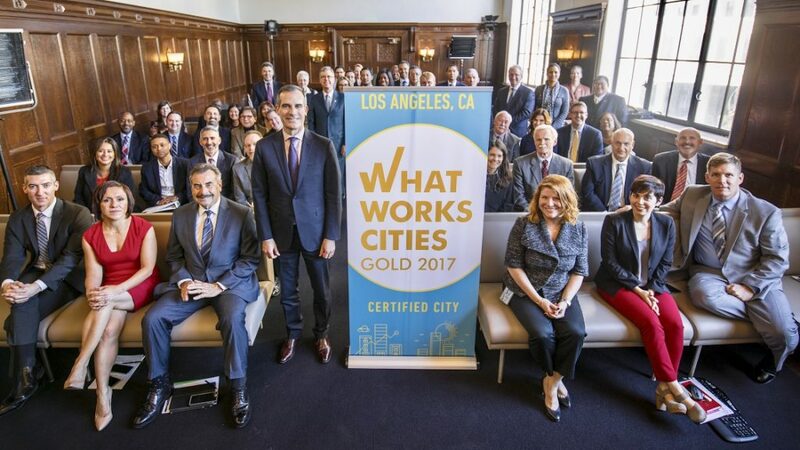 Cities across the U.S. are more effectively delivering results for residents by aspiring toward What Works Cities Certification, the first-ever national standard of excellence for well-managed, data-driven local government. The program, which is open to any U.S. city with a population of 30,000 or more, is the entry point to What Works Cities and accessing the range of support our expert partners offer. You can join us by completing a Certification assessment, which will help you better understand the strengths and weaknesses of your local government’s management, see how your practices stack up against those of their peers, determine how you can improve, and get support to drive outcomes for your community. Get started on your assessment here. Have questions? Reach out to our Certification team at certification@whatworkscities.org.